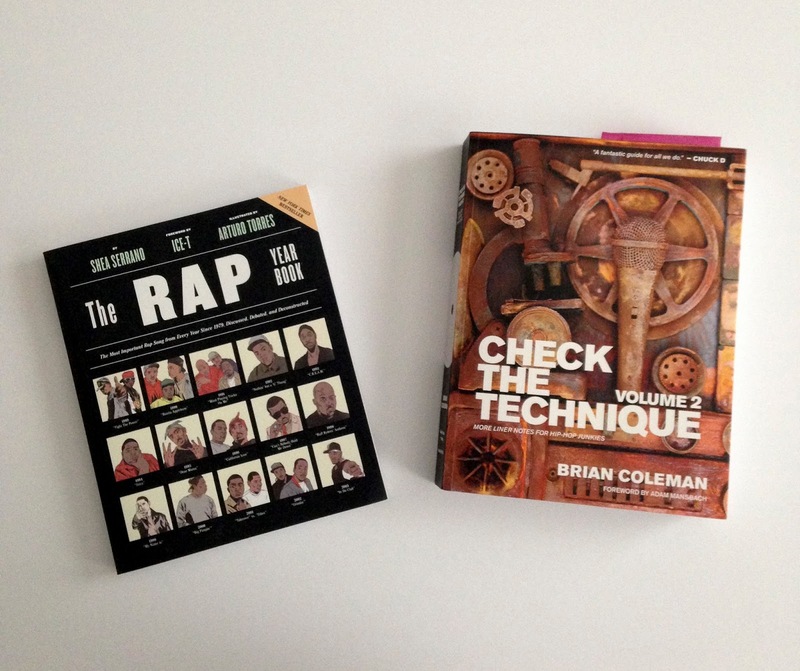 I'm currently reading Shea Serrano's 'The Rap Year Book' (The Most Important Rap Song From Every Year Since 1979, Discussed, Debated, and Deconstructed) and still slowly making my way through Volume 2 of Brian Coleman's classic series, 'Check The Technique.' Both have been exceptional reads and I highly recommend them. I'm working through 'Check The Technique' slowly because I like to enjoy the behind the scenes stories on each album while listening to the projects and it's been hard to find time to really sit with uninterrupted. Also, the book weighs like 4lbs, its staying at home to read, lol. I really appreciate the illustrations and 'Book of Rap Lists' feel of 'The Rap Year Book,' while it's the stories and small pieces of promo that I enjoy most about 'Check The Technique.' Either way, you should have both in your physical collection. Combined, the books contain 750-800 pages of hip-hop history and will cost you roughly $40 via Amazon (less for used copies).